As part of the Riding for the Disabled Association (RDA), The Diamond Centre exists to provide disabled people with the opportunity to ride, carriage drive or vault at the level of their ability to benefit their health and well being. There is a full time table of over 60 riding, vaulting and driving sessions, which start on Tuesday mornings and go through to early Saturday evenings. Thursday evenings are left free for training. The horses are put out to grass from Saturday night until Monday morning, when they are ridden back from our grazing fields and prepared for lessons the following day. Our wide range of activities offers excellent opportunities to riders of all abilities and ages – from 4 to over 65 years old. 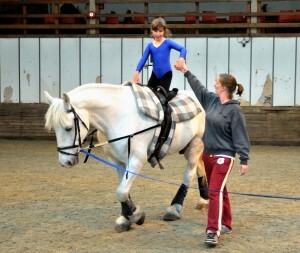 All riding (including hippotherapy), vaulting and carriage driving takes place under expert instruction. Our riders have a range of disabilities including; spina bifada, cerebral palsy, epilepsy, downs syndrome, autism and behavioural problems. It is widely recognised that riding benefits disabled children and adults both physically and mentally. We also help many victims of road traffic accidents who show remarkable improvements through riding. For many of our riders it is the only activity they can participate in and experience some form of independence and sense of achievement. Most riders start in a beginners class suited to their age and ability and can progress to a more advanced ride. The lessons between Tuesdays and Fridays are mainly for school groups, adult day centres and specialist hospital groups. Individual riders, adults and juniors, may join a suitable class after school hours including evenings, or ride on a Saturday. The structure of the lessons is geared to the needs, abilities and requests of the riders. 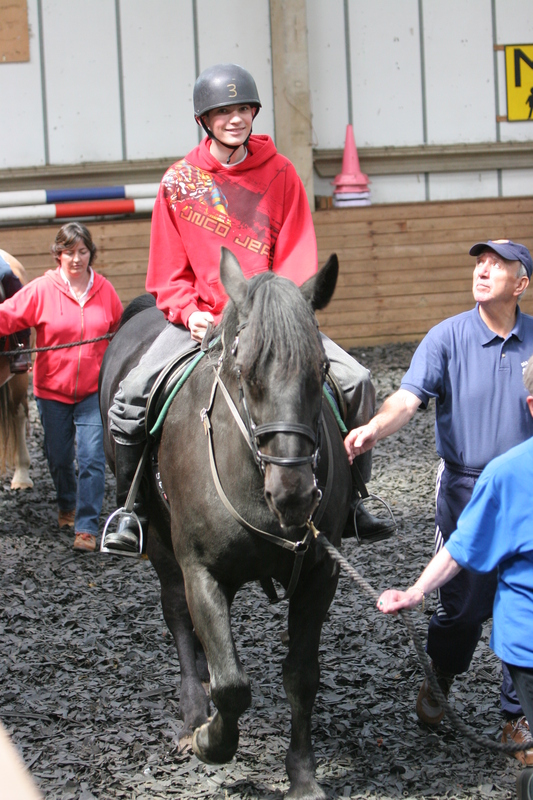 Besides learning how to ride a horse independently, riders enjoy other activities including jumping, dressage, gymkhana events, handy pony competitions, fun days with treasure hunts and games and riding in our fields and woodland. All lessons are taken by trained instructors who are helped by a deputy and, where necessary, a group of helpers to lead the horses. Most of our instructors are volunteers.